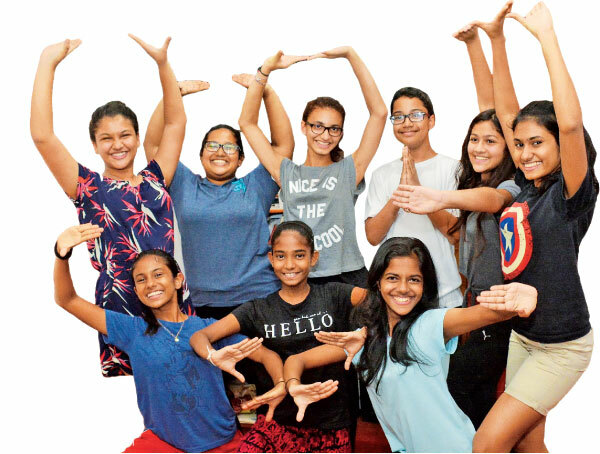 On an alley off of Kassapa Road, the Soul Sounds Academy is home to one of the most vivacious, precocious children’s groups in Sri Lanka: the Soul Sounds Children’s Choir. The Choir, which recently participated in the World Choir Games for the first time, won silver and bronze in the categories of Children’s Choir and Scenic Folklore. However, after winning their medals, the choir described their experience in terms other than victory. The children and their teachers said the process leading up to and participating in the Games was an opportunity for personal and professional growth. 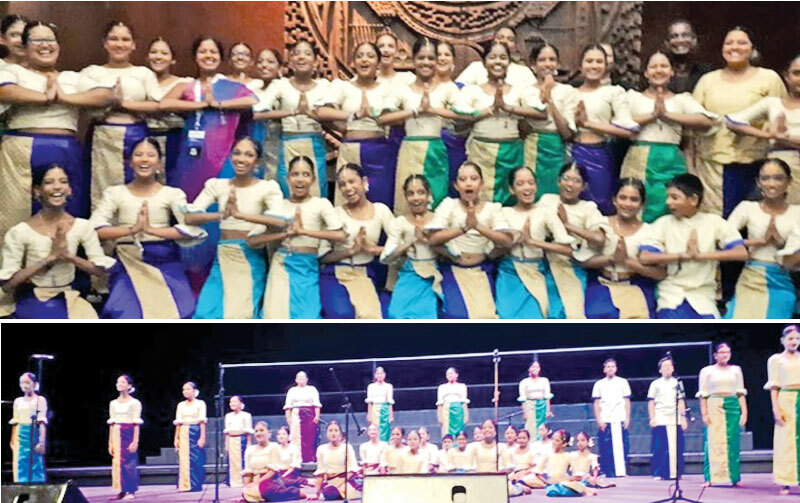 The Soul Sounds Academy Children’s Choir was one of two choirs to represent Sri Lanka at the World Choir Games in Tshwane, South Africa, along with the Royal College Choir. The Soul Sounds Children’s Choir was directed by Amandhi Caldera, Dinushka Jayawickreme, and Soundarie David Rodrigo, Music Director of Soul Sounds Academy. The children regarded their time as a learning experience as well, “we got a lot of experiences!” they exclaimed in unison. The choir remarked upon the music they heard, the food they ate, and the friends they made. The choristers were ebullient, remembering singing in South Africa. The group sang, not only during competitions, but on their journey, when their flight’s cabin crew found out that they were a choir, and again in a mall in South Africa. Another time after the Friendship Concert, they held a practice in the middle of the night, just because they were so energised by the performances they had heard. The Soul Sounds Children’s Choir is a relatively new addition to the Soul Sounds Academy, and was formed only last year. The Academy held auditions for the Children’s Choir and picked the 33 most promising young vocalists. While the choir is open to everybody, it primarily consists of female members, and only four of the members of the children’s choir are boys. Members range from 9 to 17-years-old. The age difference amongst choristers can prove challenging from a teaching perspective, said Caldera. In addition to directing the Soul Sounds Children’s Choir, Caldera and co-directer Dinushka Jayawickreme work full-time jobs. Caldera is a psychologist, and commuted from Ragama to lead the choir’s practices. At first, practices were no more than three hours, for once or twice a week. Occasionally, they would have a full-day practice on Sunday. But just before the competition, they held practice everyday. Despite the commitment it took from coaches and kids alike, “it was really nice to work with the kids. I really enjoyed it,” said Caldera. For the children, practice was always a delight, and they regarded their teachers as family members. “Aunty Soundarie is the best! Learning from her is just a gift that we’ve got from god. 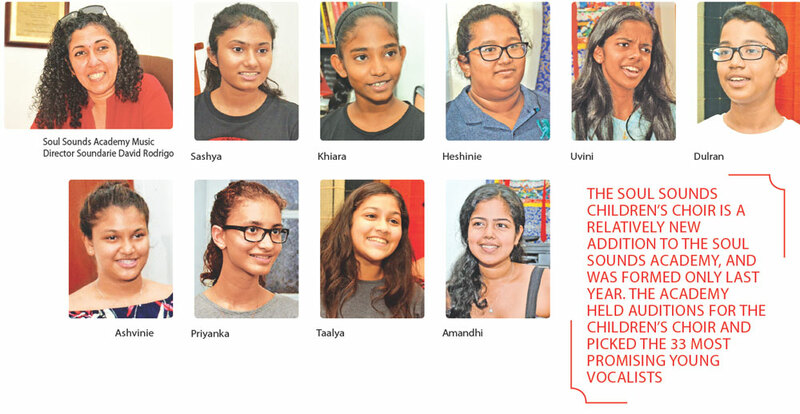 We are so proud to be her students,” said 17-year-old Uvini Sirisena.